Employee experience technology company, Reffind (ASX:RFN), has signed four new Australian clients that will now use its employee experience platform. The new clients include law firm, Clayton Utz; wholly-owned subsidiary of Telstra, Health Connex; national bank, ME Bank; and privately-owned provider of IT device lifecycle services, Best IT Engineering. 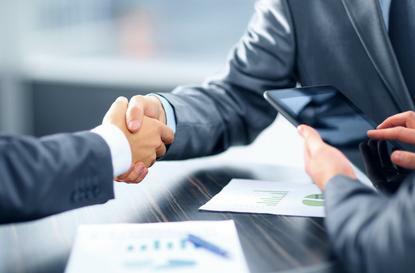 Clayton Utz and ME Bank have signed on to use the Reffind Employ solution, while Health Connex is taking on Reffind’s Embrace platform, and Best IT Engineering has signed up for both offerings. Reffind Asia-Pacific vice-president, Nick Hillier, said the signing of these four new clients reflect the benefits of internal referrals for new hires, and emphasises the growing demand among Australia’s largest organisations for its solutions to help facilitate the referrals process. “The value of using Reffind solutions is increasingly being recognised by the corporate sector in A/NZ. The solution is providing businesses with a mobile, innovative way to collaborate with employees, which companies are finding invaluable. “These latest customer additions join businesses such as Johnson & Johnson and Allianz, both of which are now benefiting from our solutions,” he said. Best IT founder and managing director, John McVicker, said the Reffind platform has increased productivity for the company. “We make over 400 hires per year so finding the right people quickly is critical. The Reffind platform provides us with a quick and easy way to identify and hire more of the right people by leveraging the networks of our current staff and alumni. Referred staff become productive faster and cost us a lot less than the traditional recruitment options,” he added.